Tree Climbing competitions are a competitive sport and began in the mid 1970s, in the USA, and simulated actual work scenarios for arborists. Initially, contestants competed as a team in four main events. The four events each team had to complete were; the Work Climb, Aerial Rescue, Rope Throw, and the 40 foot (13 metre) Footlock or Body Thrust Speed Climb. Each event carried with it a relating score and the team that obtained the highest score won that specific round. The sport of Tree Climbing was soon thrust into the limelight after concerns were raised for the safety of participants and the Footlock event was temporarily discontinued from competitions. After an initial foray into the competitive field of Tree Climbing the sport was redeveloped and reintroduced in 1989. Eventually, as the variety of rope techniques used grew, the competition was ‘internationalised’ during the 1990’s, which allowed climbers from all corners of the world to compete together. The Masters Challenge was also introduced and the competition was in full flight. Today climbers compete in five events – the Work Climb, the Aerial Rescue, the Throwline, the Belayed Speed Climb, and the Secured Footlock. At National and International events, the Masters Challenge is the Championship round of the competition, where the top finishers from the preliminary rounds battle out for ultimate victory. The Championship round is designed to judge a contestant’s overall productivity and skill in the tree. The contestant is expected to demonstrate the mastery of techniques, equipment use, poise, and safety. ‘In New Zealand, the New Zealand Arboricultural Association holds regional Tree Climbing Competitions (TCCs) annually in main centres around the country. 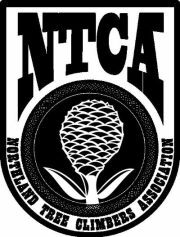 The qualifiers from the regionals then participate in the National Tree Climbing Championship (NTCC), which is held in conjunction with the NZAA’s Annual Conference event. The Men’s and Women’s Champions earn the right to compete at the ISA’s International Tree Climbing Championship. This year the New Zealand’s world champion tree climbers are Chrissy Spence and Scott Forrest. For more information on Tree Climbing please visit the New Zealand Arboricultural Association website. Information source: The New Zealand Arboricultural Association, Stuff.co.nz.